Sometimes a great project can be super simple as illustrated in this week's Die Ugly Toys, Die! 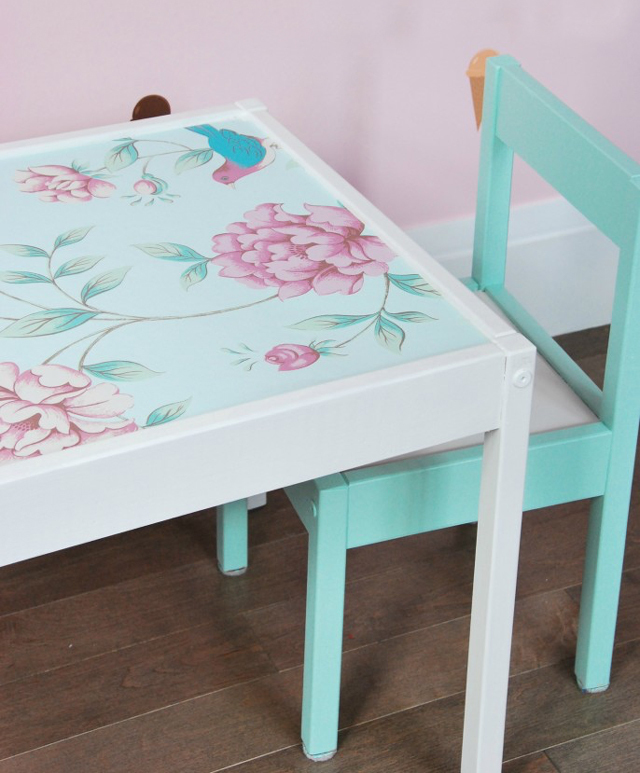 Gemma of the The Sweetest Digs found an ikea play table for a steal and put just a little bit of paint of paper on it to make it a lovely element of her daughters beautiful nursery. Sometimes less really is more. Pop over The Sweetest Digs to read all about it. Oh I love Freckles but some how missed that DIY. That is a great one. Love how she incorporated the paper roll - I find pulling that roll out all the time to be highly annoying.